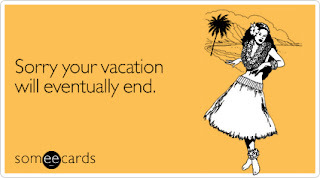 One week from today, my wife and I (graciously accompanied by my sis-in-law and her bf) will begin our caravan drive (consisting of a ginormous U-Haul - with motorcycle inside & a car towed behind it - and our other car connected by walkie-talkies) 1,321 miles from Miami, FL to Long Island, NY. While we enjoy our lives in Miami many of our family members and friends live up in the northeast; having both grown up in tight-knit families we want to raise our own family the same way. We've been preparing for the trip for a while, but we are still far from ready (i.e. not fully packed yet) and it's going to be hard to say goodbye. I'm going to miss a lot of things about my hometown for the last 11+ years; Miami has been great to me. I can still remember the day I decided that I'd head south for college: I was a senior in high school visiting the University of Miami campus strolling around Lake Osceola. As we cruised past the outdoor pool (where students were laying out during school hours) I remember thinking, "yeah, I can definitely do this!" And so I did. I figured I'd leave after a few years, but that's how the story of most Miami residents begins. I guess since this blog is supposed to be about my training, I might as well get to talking about that. 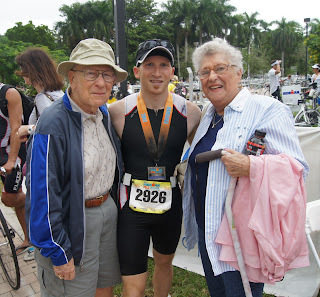 Living in Miami gave me an opportunity to discover the sport of triathlon. While there are active multi-sport communities in many other cities, Miami (of course due to its great weather and easy water access) is among the biggest. Our “local” triathlon club (The SFT Hammerheads) is one of the largest at over 600 people. As I eased my way into triathlon, beginning with my first duathlon last September, I met many other athletes along the way. Among them were long-time veterans with years of knowledge and advice, as well as newbies like myself with whom it was easy to talk about first-time jitters or other challenges. Among the obvious things I’ll miss like the weather, which is generally pretty cooperative for training year round, and my easy access to various bodies of open water, are my training partners. I’ve mentioned the Tri Locos in this space before and I’d be remiss to not offer one more set of thanks to those who have helped groom me from a triathlon hopeful, to a semi-accomplished age grouper just beginning to tap into his capabilities. Without them, and specifically Coach Tim, I’d never have made it this far and certainly wouldn’t be signed up for an Ironman (which sometimes I still can’t believe). I know I will never replace them but I hope that when I get to NY I can find a group to train with that is even a fraction as supportive as the Locos. On that note, I am now taking applications for the Tri Loco Northeast Chapter! Now that I'll be living in a place that actually has a winter, training will take on a different look for part of the year; long bike rides and open water swims will certainly be off limits for a while. This winter I'll get to know the joy of riding on a trainer (and maybe catch up on my list of movies to see). I'll also be a regular at spin class and the LA Fitness pool. I despise the treadmill, so I hope to keep running outside despite temperatures and wind chills which make me cold just thinking about them. But, where there is a will there's a way, and I'll make sure to continue my base training so that I am ready to ramp up in the spring as I get in gear for IMAZ 2012. Another thing that I'll be forever grateful for about my time in Miami was the opportunity to spend more than the last decade living about an hour from my grandparents. I'd always had a great relationship with them, but being here, so physically close to them, has been amazing and something I'll cherish for the rest of my life. Not everyone is even lucky enough to even have living grandparents, and I am blessed to have two great ones with whom I have a close bond (they must be doing something right: all their children, and their children, keep in regular contact with them). The nature of our relationship has of course changed in the time I've been down south. When I first arrived they watched out for me, driving down to Miami for dinner (once I eventually figured out where we were going and how to get there), helping me with laundry at their house, and just generally being there for me. Now, the tables have turned. As G & G have gotten older our get-togethers are more often up in West Palm Beach. I'm usually greeted with a "to do" list of household tasks, including the one which is never written, but always understood: giving my Gramps a buzzcut. 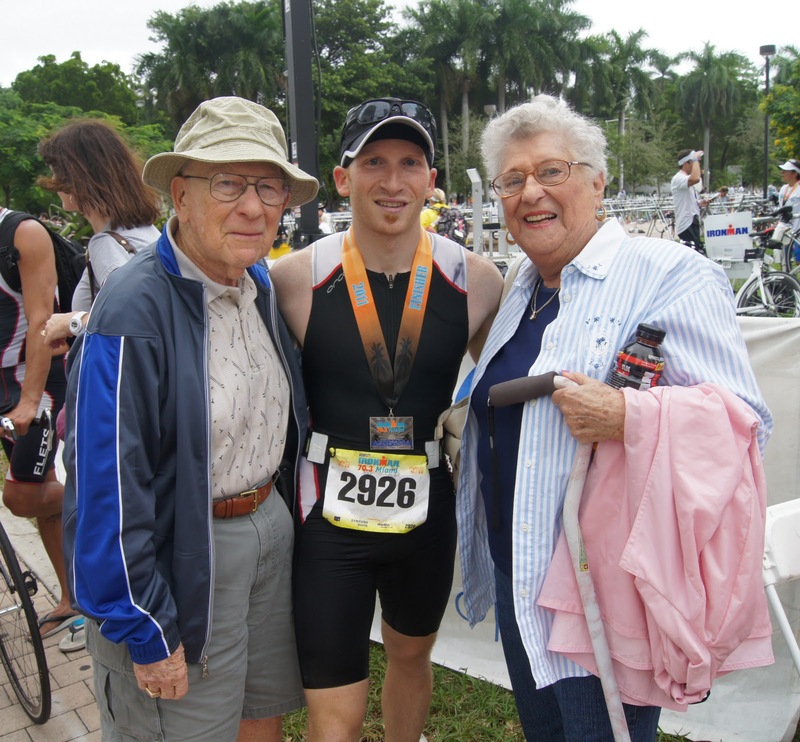 Having had my grandparents at many of my adult milestones, including my 1st Half-Ironman, has been wonderful. I even shared the NY Giants 2007 Superbowl victory with Gramps and my cousins (watch us celebrate). As I said goodbye to them at our farewell party on Saturday, I’ll admit that I was caught up with the other festivities and the moment failed to sink in. I will of course still see them plenty (they travel to NY a couple of times a year, and we will fly down to visit), but over are the 3-day notice dinner plans which we've had the luxury of making. I came to this city as an immature 17 year old college freshman and leave it as a (semi)responsible 29 year old man. Along the way I've met many great people, made lots of memories (some nights harder to remember than others), and met my beautiful wife (who of course grew up only 15 minutes from where I did). I can't say I loved Miami from the very beginning, but this city really grows on you. I stayed longer than expected and if not for having most of our family in the northeast, I'm not sure I ever would leave. But, our time has come. And so with a heavy heart, I will go back to packing my boxes and preparing for our long journey across the eastern seaboard. Thanks Donna. Any tips on how to get through long workouts on the trainer? How About a Running Tip?